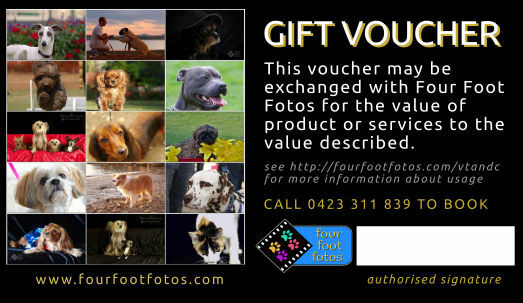 Would you like a Four Foot Fotos gift voucher for a birthday, Christmas, anniversary or other reason? They come in a nice envelope with a letter inside from me as well, plus a montage of some photos. It’s a really lovely gift, designed with the intent that the person who opens it will take some time enjoying it. You can choose from the packages or give a multiple of $100. Please call any time if you have some questions or want to chat about it.